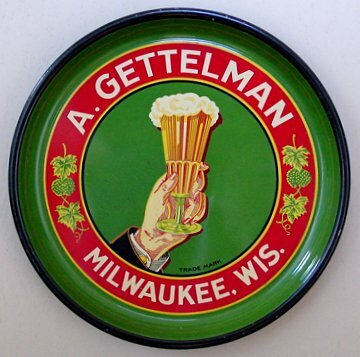 Milwaukee, Wisconsin Comments: This tray is often presented as a Pre-pro tray, but I believe it to be early 1930's, right after prohibition. I base this on the fact most pie trays of this type of construction are post-pro. If you know more information please send me an e-mail.